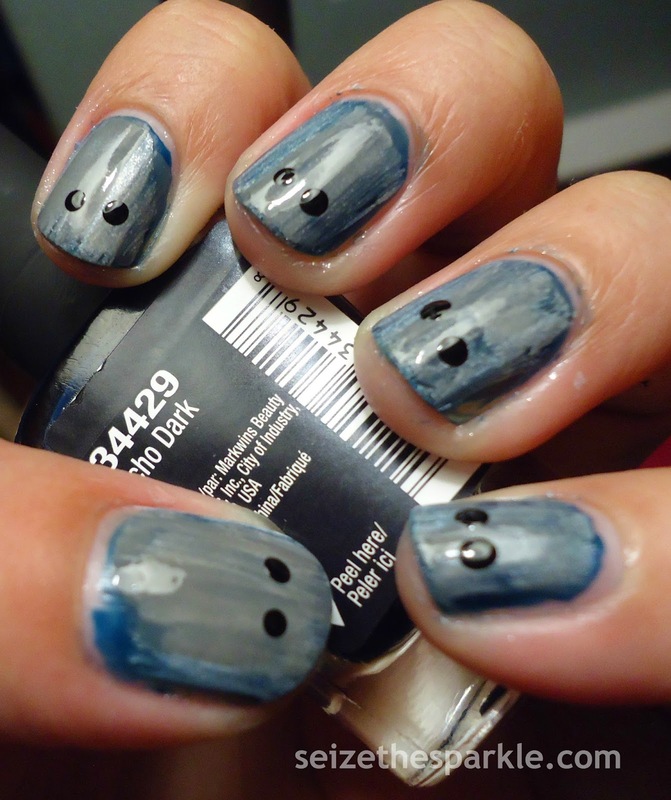 Oddly enough, these nails look nothing like what inspired them. Hard to imagine with my stellar artistic talent, huh? 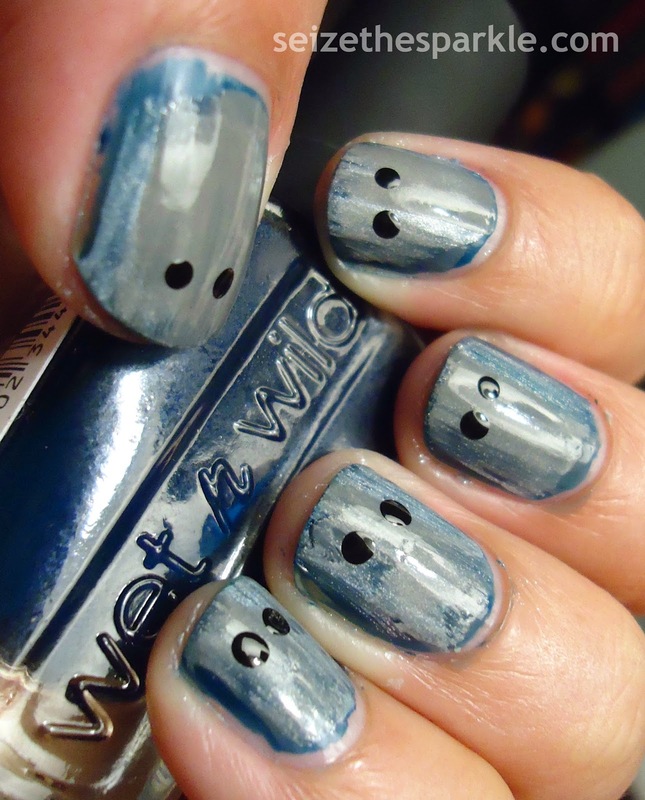 My original vision was to create Ghost Cybermen on each of my nails. You know, the ones from Doctor Who Series 2, Episode 12, "Army of Ghosts?" 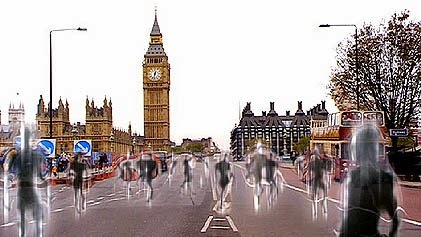 You know, those harmless looking "ghosts..." brought to London by Torchwood? 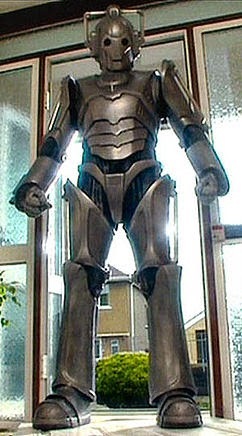 ...which actually turned out to be the much-feared humanoid Cybermen! Oh, I know what you're thinking, because I thought it too when I first saw them. They don't seem so scary, right? Well, no, not until they want to give you an upgrade! You can keep your brain, but that's literally it. So yeah. I wanted to do some sort of Doctor Who inspired nail art during this challenge, given the fact that I started watching the series based on the musings of several fangirls who also blog about their nails. The polish blogging community really is a wondrous thing!